I have felt like the biggest fraud for the last couple of days. I am the self-proclaimed Positive Thinking Blog Goddess and I have been covered in and permeated by negativity. There are at least two kinds of negativity: malicious and incidental. This week, I have been touched repeatedly by incidental negativity – sadness and tragedy of friends and friends of friends. Two dear friends buried the grandmothers to whom they were both extraordinarily close. One friend buried her husband. A woman’s 11-year-old only child was killed in a car wreck. Another woman began chemo for breast cancer. While my own family and friends’ bodies were safe, many of their spirits received nasty blows. We’ve spoken many times about how your support system is there for you when you need them. Turnabout is fair play and this week is was my turn to be someone else’s support system, to be a part of their community. The weight of emotional pain can be crushing. When we give our love and support unconditionally, we take some of that weight onto ourselves, sparing our friends from being completely ground down. The cost to us, of course, is that we carry that bit of weight for awhile. 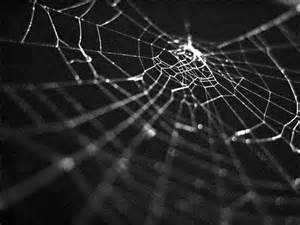 The weight is beginning to shift for me, going from a burden to something more like a spider web that I’ve walked through and that has stuck to me. I don’t feel it all the time, but every now and again, the stickiness reappears, bringing that little bit of negative energy back with it. For my friends, the weight is still great; so, those who love them will check in again and again, shifting a little more weight off of them, carrying it away with us and transforming it into sticky, but light, spiderwebs that will eventually float away, taking the negativity with them. We just have to get to that point in the process. Until then, I’ll just be the Positively Oriented Blog Goddess.